Browsing articles in "Press Releases"
John Galaxidas, President/CEO of Synergy announced it completed its 3rd commercial real estate requirement for NASA. 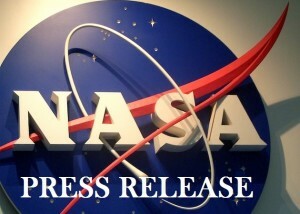 NASA recently retained the services of Synergy Real Estate Group, Corporate Advisory (www.synreg.com) headquartered in San Diego, California to help them identify a hard to find space. The facility had to be a specific depth, width, height and triangular in shape. 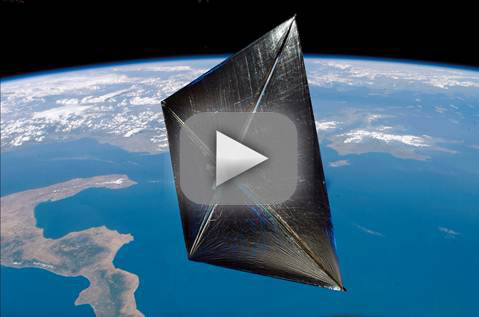 NASA’s contractor L’Garde (www.LGarde.com), who is building the largest solar sail space craft of its kind in Tustin, California, originally hired a local tenant representation firm to help them find the space. After spending Six (6) months with another tenant rep firm, NASA – L’Garde switched to Synergy which took only two (2) weeks to identify the property. Why does NASA use Synergy over any other Tenant Representation firm? “We identify space no other firm can find because we contact every Property Owner, Landlord Listing Broker and Corporation to find missed lease and sublease opportunities. Most Tenant Rep firms rely 100% on commercial listing services to identify space. At Synergy, we track every space in the local submarkets daily and will be sure that you are made aware of all possibilities, as many are not marketed publicly,” said John Galaxidas. At Synergy Real Estate Group, Corporate Advisory (www.synreg.com), we only represent Tenants and are dedicated to our role as the Tenant Advocate. “Synergy is made up of principal-level professionals, so all work is handled by top negotiators in the industry,” said Galaxidas. Synergy’s most prestigious clients include NASA, Hitachi, Farmers Insurance, HP, DELL, Cisco Systems and Charles Schwab. Synergy does not charge for its service. “Since all leasing fees associated with a building are budgeted for and paid by the landlords, you will incur no costs while having expert representation to insure that you achieve the best lease terms possible,” said Galaxidas. “We remove the conflict of interest inherent when a listing broker tries to represent both the tenant and landlord, whereby we never represent Landlords, only Tenants to secure you the best location and deal on space,” said Galaxidas. “We do this through a proven process of first identifying all possible opportunities, and then negotiate exclusively for our client’s needs which allows us to get landlords to align themselves closer to our client’s interests,” said Galaxidas. We inventory the market on a daily basis. We specialize in identifying hard to find “under-marketed” and “un-listed” opportunities. We contact every property owner/listing broker on your behalf to uncover “off-market” lease opportunities. When it comes time to negotiating the transaction, we draft and send out proposals on your behalf, leveraging one Landlord against the other to secure the best lease terms and rate on the space. “At the end of the day, you receive a complete value added service which helps you avoid missed opportunities + saves you time and money since we do all the leg work for you,” said Galaxidas. John Galaxidas, President and CEO of Synergy Real Estate Group, Corporate Advisory, announced that the company had assisted Hitachi subsidiary AccSys Technology, Inc. in leasing a 12,000 square foot industrial property to be used as a testing facility for its ion linear accelerators. The deal continues Synergy’s prominent role representing high-technology clients in Silicon Valley and the San Francisco Bay Area. Adam Sass, Synergy’s Vice President for the San Francisco Bay Area, led the search for a property that met the specialized operational needs of AccSys’s advanced linear accelerator technology. “AccSys was planning a test facility for our ion linear accelerators, which are widely used in such medical applications as PET scans and Proton Beam Therapy for cancer,” said Marjan Zand, Quality Assurance Manager at AccSys. “As you can imagine, particle accelerators require a lot of power, and Adam Sass of Synergy was able to quickly and accurately identify the industrial properties in our target geographic area that offered the combination of electrical service, sufficient space, secure location and other facility requirement for our test operations,” she added. “It’s a rare opportunity and a real privilege to work with a company whose technology does so much good, and finding them the right location for their test operations was incredibly satisfying,” said Sass. After multiple property tours coordinated by Synergy, AccSys found the right location for its test facility at 47730 Westinghouse Drive, Fremont, California, at the eastern edge of Silicon Valley. Boasting 1600 amps of 3 phase industrial power and 100% HVAC, temperature-controlled facilities, it was the ideal environment for testing AccSys’s linear accelerators. An added benefit was the easy commute from AccSys headquarters in Pleasanton, California. For AccSys Technology, choosing Synergy’s services resulted in the right property at the right price. “Synergy’s team proved efficient and reliable in managing the leasing process from start to finish. We would highly recommend their services to other technology companies seeking commercial space in the Bay Area,” said Zand. AccSys Technology is the world’s leading commercial producer of rf ion linacs (radio frequency ion linear accelerators) for medical, industrial and research applications. Founded in 1985 as a design and manufacturing company, AccSys specializes in the development, production, installation and servicing of compact ion linacs using its patented linac technology. AccSys is dedicated to providing the highest quality and most reliable commercial ion linac systems to meet the needs of its customers. For more information on AccSys Technology, Inc., please visit the AccSys web site at http://www.accsys.com. AccSys has been an affiliate of Hitachi, Ltd. since 2002 and now wholly owned. Synergy Real Estate Group, Corporate Advisory is the largest group of independent commercial real estate tenant representation brokers in North America. Headquartered in San Diego, California, Synergy has over 120 associate offices throughout the US, Canada, Mexico, UK, India and China. For more information about Synergy Real Estate Group, Corporate Advisory, please visit their web site: http://www.synreg.com or call: (888) 979-7787. John Galaxidas, President and CEO of Synergy Real Estate Group, Corporate Advisory, announced that the company assisted NASA – Hubble / TRAX International in leasing 120,000 square feet of office space for 450 staff located at 7700 Hubble Drive in Greenbelt, Maryland, a suburb of Washington, DC. GREENBELT, Md., Jan. 5, 2012 /PRNewswire/ — John Galaxidas, President and CEO of Synergy Real Estate Group, Corporate Advisory (www.synreg.com) announced it assisted NASA – Hubble / TRAX International in leasing 120,000 square feet of office space for 450 staff located at 7700 Hubble Drive in Greenbelt, Maryland, a suburb of Washington, DC. Synergy Real Estate Group, Corporate Advisory is the largest group of independent exclusive commercial real estate tenant representation brokers in North America headquartered in San Diego, California with over 120 associate offices throughout the US, Canada, Mexico, UK, India and China. John Galaxidas, with the assistance of Debra Stracke Anderson, President and CEO of Sloan Street Advisors, co-brokered with Synergy to represent NASA Hubble in the transaction. Debra Stracke Anderson was recently selected by the Mid Atlantic Real Estate Journal as one of “The Best Deals of 2010” where the transaction with NASA Hubble / TRAX International was formally announced. To differentiate itself from other Commercial Real Estate firm, Synergy never represents Landlords, only Tenants. There is no cost for its service. “Our clients range from small businesses to large Fortune 500 firms. We provide clients with a report containing all property sites that meet our clients parameters with photos, floor plans, help them to select the best alternatives, and then negotiate aggressive terms that take advantage of today’s multiple concessions and incentives,” said Galaxidas. “Synergy tracks every office space and warehouse space in the local submarkets daily, including subleases, so it’s much easier for us to do the background work for our clients to be sure our clients become aware of all possibilities, as many are not marketed publicly. Further, since all commercial real estate leasing fees associated with a building are budgeted for and paid by the landlords, our clients incur no costs while having expert representation to insure that they achieve the best lease terms possible,” said Galaxidas. For more information about Synergy Real Estate Group, Corporate Advisory, please visit their web site: www.synreg.com or call: (888) 979-7787. Copyright (c) 2017 Synergy Real Estate Group.